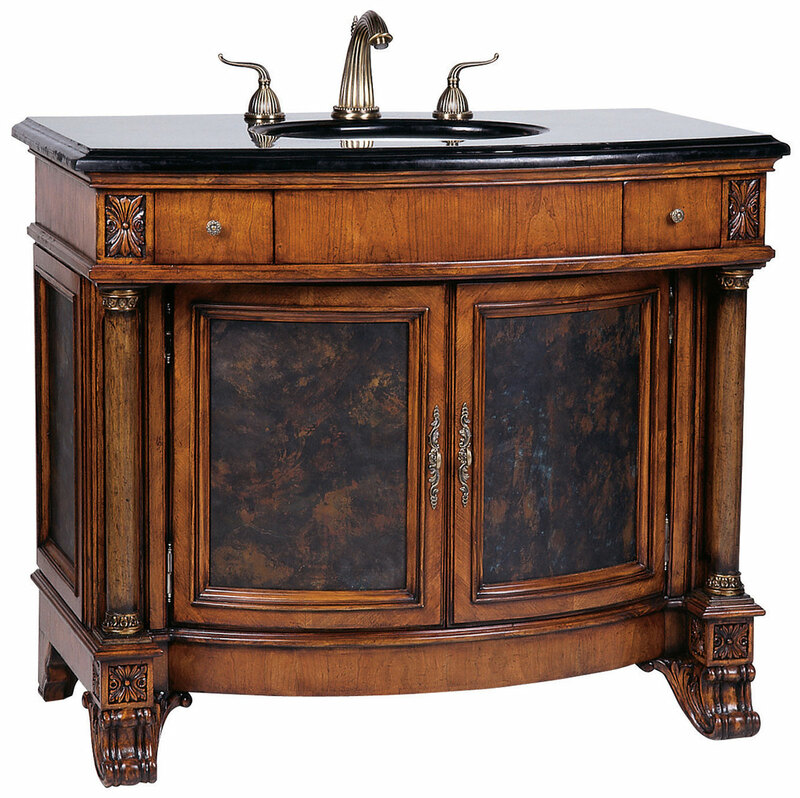 The 42" Empire Grand Single Bath Vanity is a graceful bathroom centerpiece. 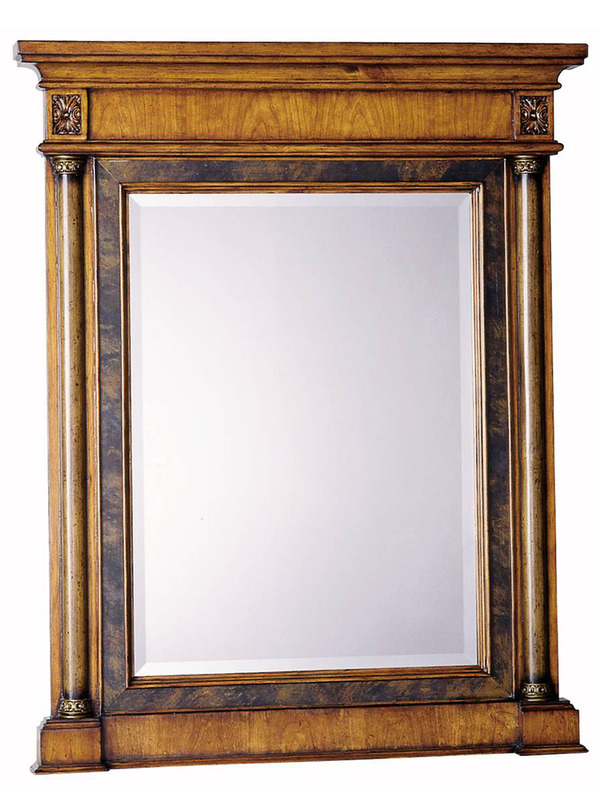 Made from solid mahogany wood with cherry veneers, the Empire vanity offers a double door cabinet accented with metal etched fronts and two side drawers for all your storage needs. 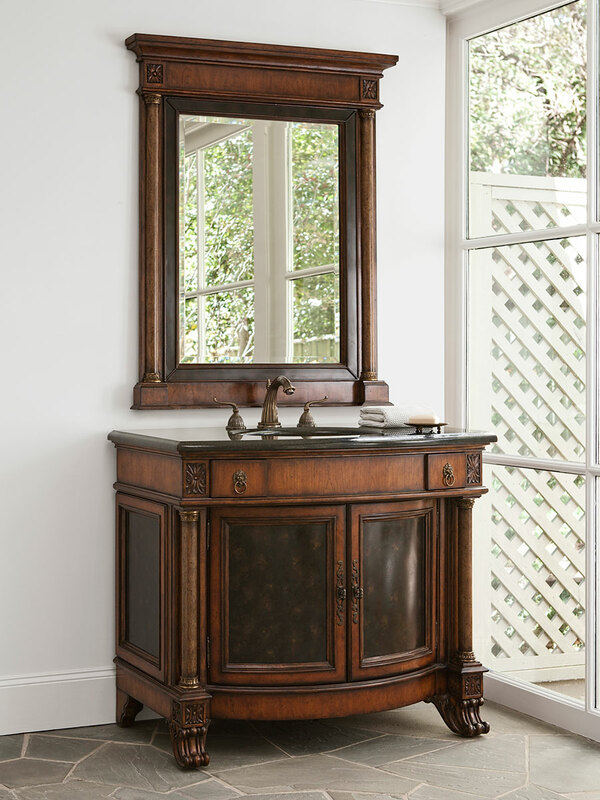 Its black granite top accents the antique style of this beautiful vanity and comes installed with a Balsa porcelain sink. Faucet options are available.